Automobili Lamborghini presents the Lamborghini LP 750-4 Superveloce at the Salon de l’Automobile in Geneva. With increased power, lower weight, improved aerodynamics and innovative technologies the Lamborghini Aventador LP 750-4 Superveloce is the most pure incarnation of a Lamborghini to date: unmistakable Lamborghini super sports car DNA, dynamic superiority and exceptional driving precision. A focus on weight reduction while incorporating innovative technologies has resulted in the most sports-oriented, fastest and most emotional series production Lamborghini ever. The weight has been further reduced by 50 kg through enhanced lightweight engineering including significant use of carbon fiber. The naturally aspirated V12 engine’s power is increased to 552 kW/750 hp. This results in a power-to-weight-ratio of 2,03 kg/hp. The Superveloce accelerates from 0 to 100 km/h (62 mph) in 2.8 seconds and powers on to reach a top speed of more than 350 km/h (more than 217 mph). 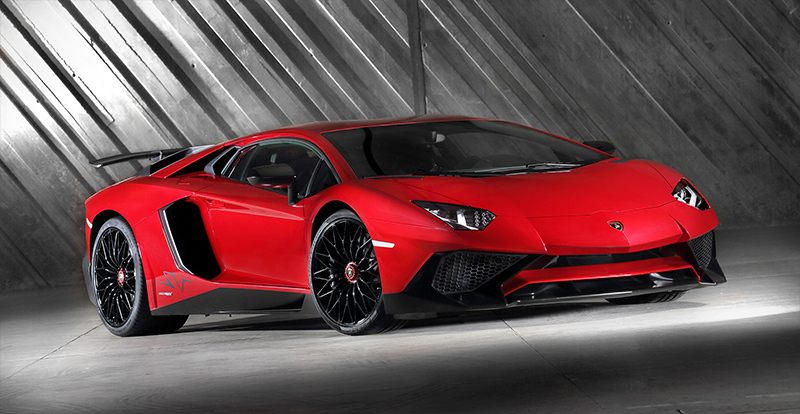 “The new Aventador Superveloce continues the Lamborghini tradition of SV models, pushing the boundaries in terms of performance and pure driving emotion,” says Stephan Winkelmann, President and CEO of Automobili Lamborghini. 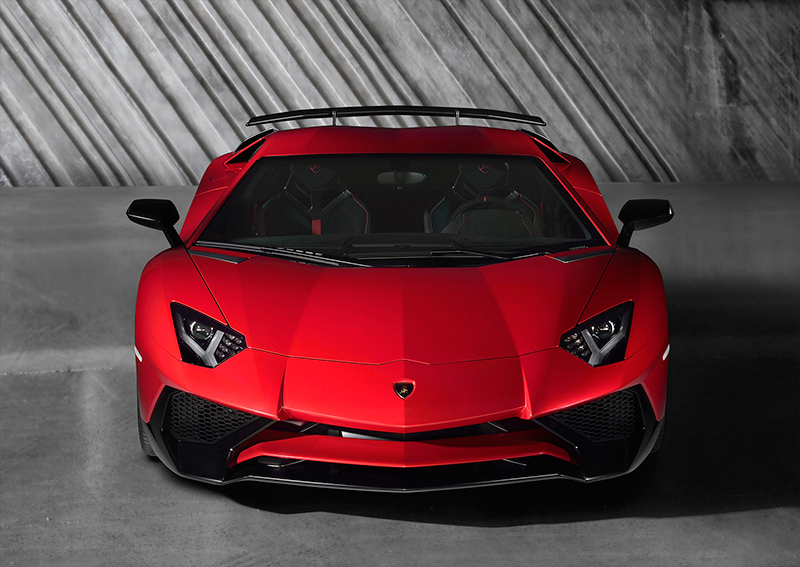 “The original Aventador was presented four years ago, and the Superveloce pays homage to its passionate owners, as well as the fan community, whose enthusiasm has resulted in the biggest commercial success ever of a Lamborghini V12 super sports car. Available content includes an edited package of the Worldwide premiere at 2015 Geneva Group Night, as well as images.